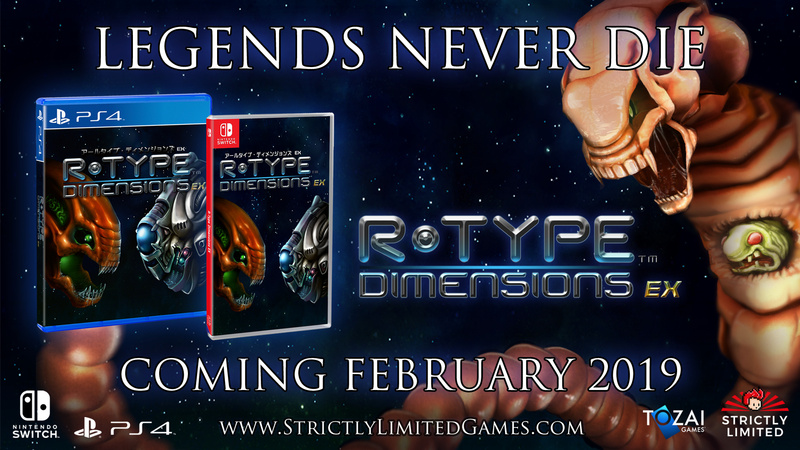 Stuttgart-based publisher Strictly Limited Games has revealed that it will be releasing two physical editions of R-Type Dimensions EX on Switch later this month. 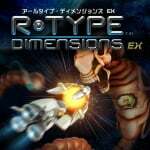 R-Type Dimensions EX contains both R-Type I and R-Type II in one lovely shoot 'em up package, both of which are regarded as being up there with the most influential games of the genre. Players must save the universe from the evil Bydo in their spaceship and, across a total of 14 levels, shoot their way through the Bydo-contaminated worlds alone. In a nice touch, you can switch between the original, retro 2D graphics and the completely reworked 3D mode at the touch of a button. We described last year's digital release as a "top-notch" package in our review, so feel free to give that a read for more info. As well as a standard physical release, the game will be treated to a fancy Collector's Edition, with pre-orders going live from Strictly Limited Games' store from 24th February. The Collector's Edition is limited to just 2,000 copies and will cost €49.99; the standard physical release will receive 3,000 copies and will be priced at €24.99. Specific details about the Collector's Edition haven't been shared just yet, although Strictly Limited's last Switch collector's release, for Velocity 2X, came with a soundtrack CD, an artbook, and a poster. Have you already played this one on Switch? Would you like to add a physical copy to your collection? Tell us below. Cool,but I already got the game on digital. Misleading tagline, it's not 2000 copies, but 2000 collector's editions. It's 5000 if you include the 3000 standard editions. I'm starting my own publishing company. Pre-Orders open in 2 weeks. Switch physical release prints require orders of multiples of 1000. @Shiryu Yes this is rather exciting. Bought the standard edition on their last two releases but this double brings back childhood memories so I am in for CE! Just so everyone knows, it is not advertised but both games had co-op added to them as well which was not in the originals! Awesome! Good thing I waited on the digital relase. When you must absolutely save precious MB’s on your 400GB SD Card, bang your head against a wall 10 times while chanting “hubballoo hubballoo, give me that tasty creampuff” and then head to the Strictly Limited Games website. This will give you an extra 5% shot at securing an order for these limited physical releases. Will the physical release gods favor you?! Fair point, I feel like it omits the 3000 standard editions though. @CurryPowderKeg79 You just ordered yours? I hate limited release games. Just make it widely available in big chains like Walmart or Gamestop. 2019 - Another World, Dragon's Lair, R-Type, James Pond:Robocod, Sabateur all get physical releases! And this pleases me. @GameOtaku blame devs and publishers, companies like limited run games or strictly limited games make physical releases a fact because the original devs/publishers refuse to waste money on physical stuff. But why is it limited then? Because these limited companies have to take the full financial risk because even that the original devs/publishers refuse to do. That is a surprisingly reasonable price for a limited release. I guess they'll disappear really soon. I might consider buying it, although I already have it on Xbox 360 and was waiting for Arcade Archives version. This one with the co-op is less true to the original and if I remember correctly doesn't have the coin adding feature. @CurryPowderKeg79 That doesn't match the price Nintendo Life gave, but anyway I can't see this game on the website. How did you do it? I ordered Velocity @Moroboshi876 by mistake, my bad. @RupeeClock it does, because they were talking about the ce edition. @CurryPowderKeg79 That explains it. Thanks. But also because it gives me an idea about shipping costs, which are high. It's what happens with limited releases sadly. If they aren't expensive for once, shipping is. The games should be available in normal stores, in many if which people can use coupons. Too bad. I whish i had known this before i got the eShop version, now i'll have to double dip... triple dip actually, i already had the original version on PS3. @komayto Oh, then I don't understand the 11 @CurryPowderKeg79 had to pay, even if it was another game. Well, that would make a reasonably priced collector's edition. We'll have to see the contents, though. Thanks. Does anybody know when will we be able to preorder it. It says when in the article. That's not a lot of physical copies though so finding a used copy will cost an arm and a leg. Rtype has s long legacy so sales should be a sure thing. Unlike the crapload of indies that may get a limited release. But even then I got a retail new copy of axiom verge at GameStop so there's no excuse. if i miss this one, i will cry a little. then life will move on. Question is when will the preorders go live. @Moroboshi876 It says it in the article above: "As well as a standard physical release, the game will be treated to a fancy Collector's Edition, with pre-orders going live from Strictly Limited Games' store from 24th February." Wow the game cover art makes it look like an Alien vs. Terminator game.